At Logic Business Resources we take the integrated approach from simple legslative compliance to government and council adherence all the way through to accreditation to Australian and international standards. Logic Business Resources invites you to get to know us as an organisation and to see for yourself why we are the best choice for ISO implementation, maintenance, auditing and consultancy. We firmly believe in quality principles for businesses and we recognise that implementing an effective quality management system can offer many benefits such as; increased market share, sales growth, competitive advantage for tendering and a business that is both effective and efficient. We offer each client a director and prescribed consultant who will be available every step of the way. He/she will be the first point of contact and will attend all meetings. Our knowledgeable consultants have experience working with a range of organisations and industries. All members of the LBR team are active consultants who are currently working with clients to achieve accreditations across the board. Logic Business Resources do not dictate to our clients but we work with them; tailoring all solutions to their budget, business plans and circumstances. We passionately believe in focusing on the people we work with and we work hard to add value to our clients on every visit so that we are able to build effective and long-lasting relationships. Our WHS services are intended to complement an organisation's needs. Organisations that are in the early stages of developing and implementing improvements have different needs to organisations that are aiming for world's best practices in regard to how they are managing workplace health and safety. Work Health and Safety is a major concern for all businesses. The WHS Act 2011 and WHS Regulation 2017 came into effect in New South Wales, Queensland, Northern Territory and the Australian Capital Territory on 1 January 2012. It is time to assess Safety Management Systems for compliance with the new laws. We can help companies assess their Safety Management Systems by auditing their current systems against the new WHS Act 2011 and WHS Regulation 2017. Auditing & identifying gaps in your OHS system and conducting site-based OHS audits. Hazard and risk registers & pinpointing hazards and risks associated with either a project or the organisation as a whole. Risk assessment & determining the probability that risk will eventuate from a hazard. Writing policies and procedures & using your existing policies & procedures or starting from scratch to develop effective policies. Setting up WHS committees or other workplace consultative processes. Certification & enabling certification to standards such as AS/NZS 4801 or OHSAS 18001 (which must be re-certified every 3 years). Across every industry, WHS standards exist to provide a safe workplace free from the risk of hazards which can be biological, mechanical, chemical or even psychological. WHS expenditure is tax deductible ... fines are not! What is AS 4801 / OHSAS 18001? Why become certified with AS 4801 / OHSAS 18001? A certified system ensures your company is reaching the highest of Workplace Health and Safety standards and criteria required by the Commonwealth Government in order to perform national, state and local government tenders. AS/NZS 4801 is the Australian Standard for occupational health and safety and is currently one of the main system requirements for national, state and local government projects under the new national act and regulation. This Standard specifies requirements for an occupational health and safety management system (OHSMS), to enable an organisation to formulate a policy and objectives taking into account legislative requirements and information about hazards or risks. Logic Business Resources are committed to ensuring you, our client, are supported at the highest standards with your compliance. All the requirements in the Standard are intended to be incorporated into any OHSMS. The extent of the application will depend on such factors as the OHS policy of the organisation, the nature of its activities and the conditions in which it operates. 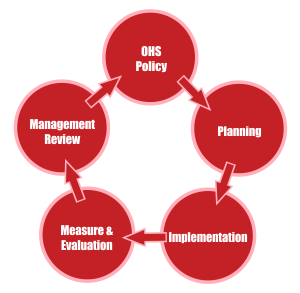 OHSAS 18001 is the International Standard for Occupational Health and Safety Management Systems (OHSMS). A certified system ensures your company is reaching the highest of Workplace Health and Safety standards and criteria's required by the Commonwealth Government in order to perform national, state and local government tenders. Work Health and Safety is a major concern for all businesses. It is time to assess Safety Management Systems for compliance with the new laws. We can help companies assess their Safety Management Systems by auditing their current systems against the new WHS Act 2011 and WHS Regulation 2017. AS/NZS 4801 is the Australian Standard for occupational health and safety and is currently one of the main system requirements for national, state and local government projects under the new national act and regulation. We provide ISO 14001 consulting services including internal ISO 14001 auditing services. 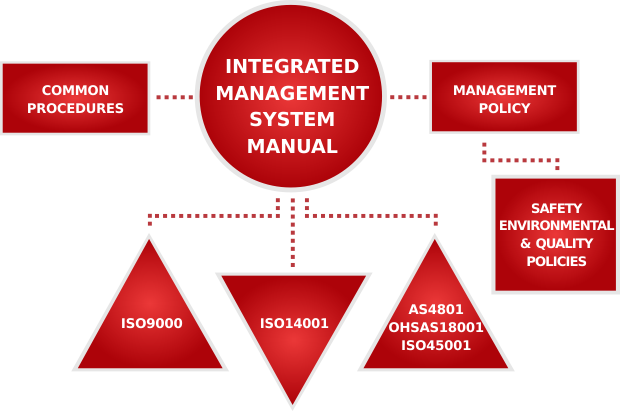 We efficiently develop effective ISO 14001 environmental management systems for all industry types. We also provide complimentary advice by email or phone to organisations during implementation. ISO 14001 is the internationally recognised standard for the environmental management of businesses. It sets out how you can go about putting in place an effective Environmental Management System (EMS). The standard is designed to address the delicate balance between maintaining profitability and reducing environmental impact; with the commitment of your entire organization, it can enable you to achieve both objectives. Implementing an Environmental Management System is a systematic way to discover and control the effects your company has on the environment. Following a successful audit by an accredited certification body, you will be issued with a certificate of registration to ISO 14001. This demonstrates that your organisation is committed to environmental issues and is prepared to work towards improving the environment. It also gives a competitive edge to the company's marketing and enhances it's image in the eyes of customers, employees and shareholders. When administered correctly what was thought to be an expense and administration burden can turn out to be a great way organisations demonstrate due diligence, gain new business, lower their business costs and reduce their environmental impact. 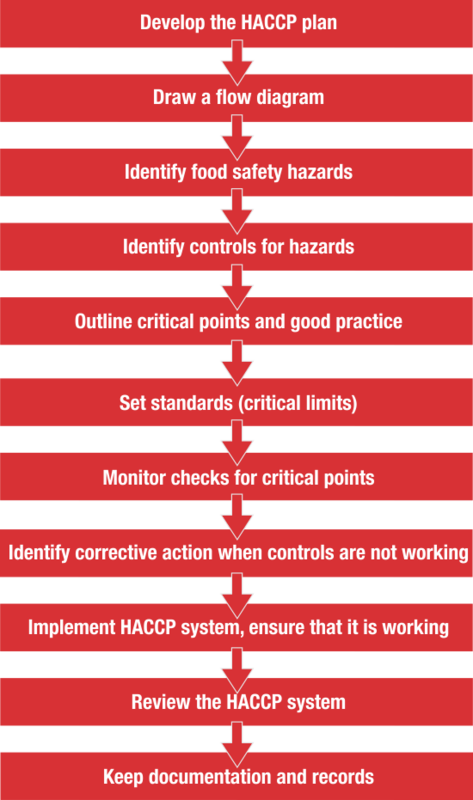 The Food Safety (General Food Hygiene) Regulations 1995 require food proprietors to identify potential food hazards, decide which of these hazards need to be controlled to ensure food safety, and put into place effective control and monitoring procedures to prevent the hazard causing harm to consumers. Looking at how you work and the practices you have in place will help you to identify what can go wrong and what could cause potential harm to your customer. By knowing what can go wrong you can put into place effective measures to avoid these problems. Checking that what should be done is being done in practice and keeping records of this is good practice and will support a defense of "due diligence" should you ever need one. The usage of the term SWMS has increasingly been applied outside of high risk construction work and this is where some of the confusion has arisen from. A risk assessment is the process of identifying what hazards currently exist or may appear in the workplace. A risk assessment defines which workplace hazards are likely to cause harm to employees and visitors. By law, every employer must conduct risk assessments on the work their employees do. If the company or organisation employs more than five employees, then the results must be recorded with details of any groups of employees particularly at risk such as young, pregnant or disabled employees. Reviewing the assessment from time to time and revising it when required, particularly if the building is refurbished, moved, or when there is a change in staffing. Drug & alcohol testing is essential in the workplace. 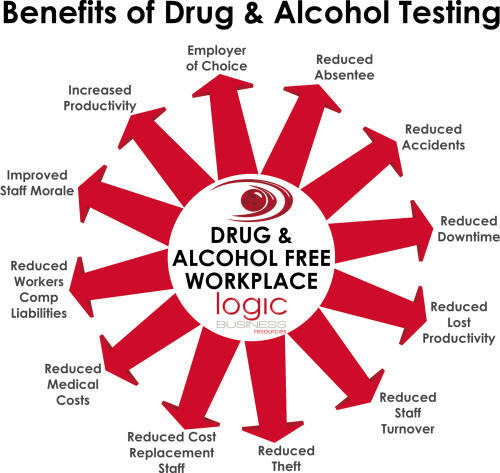 Logic Business Resources provides drug & alcohol testing service (including mobile) that's convenient and cost-effective. We can perform the test collections at your company premises and we respond to accident and reasonable suspicion calls within 24 hours. Frequent site visits for random testing to create maximum "deterrent"
Our in house training programmes are created for your organisations current needs & and with the future in mind. We work with you to develop a course or an entire series of workshops that will raise your people to a higher level of skill and knowledge. Our programs cater to all levels, whether you simply want to learn the basics in order to manage your system more efficiently. It's convenient and cost effective & We come to you at a time that suits you. Training a group of people in one location can often be more cost effective than sending staff off site on a public course. LBR schedules training sessions to suit you so you aren't tied to a set schedule of a public course and or trainers will adapt the program to your needs. It's a prudent training investment & With LBR as your training partner, our programs are designed to be all about your business. What better way to keep your staff at their peak than with specialised training presented by pros on the issues that matter most to you? It's easy & We take care of everything. We work with you every step of the way to make sure the training is just what you want it to be. We are the best in the business & our highly qualified trainers are also consultants and / or auditors who pass on real life experience and are across the latest developments in legislation and systems. Using Incident Investigation tools proactively for prevention can simply correct the deficiencies found throughout an organisation and reduce error. Many incidents occur, not because they cannot be prevented, but because of gaps in the management systems and failing to learn or retain the lessons from past incidents. Prevent recurrence, reduce risk and advance health and safety performance. Provide guidance for the Investigation Team. Effectiveness in reducing error needs improvement. Not focused on, therefore not truly effective at making organisations "safer". Good investigative tools / frameworks are able to be used not only reactively, but also proactively. ICAM is a holistic investigation tool that sorts the findings of an investigation into a structured framework and improves safety at an organisational level. ICAM stems from the work of Professor Reason and his modeling of organisational accidents. It encourages a systems approach where we not only look at what happened, but why it happened, and we focus on design to ensure that the investigation is not restricted to the errors and violations of operational personnel. Safety inspections and safety audits approach the challenge of worker well-being from different angles. Safety inspections look for hazards, risks, and other tactics that might prevent a company from operating safely. Meanwhile, safety audits examine whether programs and strategies are meeting a company's goals. Both are important components of a workplace safety plan. Here's a closer look at the relationship between the efforts, regulatory requirements, and more. Once recognized, any hazards present can be rectified, eliminated, or accounted for. Broad goals: Both strive for a safer workplace that complies with all regulations and standards. Safety checklists: Both may use a safety checklist that includes relevant the regulator standards, best practices, and other recommended precautions. The regulator requirements: the regulator does not require safety audits or inspections, but the agency views both as components of an effective safety plan. For all their similarities, a few key differences separate safety inspections and safety audits. An audit reviews safety programs and strategies, while an inspection examines current tactics and routine employee actions. Responsible parties: Safety inspections are usually performed by those familiar with the workplace, while independent employees (whether from outside the company or in another department) should conduct a safety audit. How Does the Regulator View Safety Audits? The Regulator does not request safety audit reports before conducting an inspection. That said, the regulator may request audits as part of an ongoing review. Has the employer corrected the hazardous condition before an inspection? Has the employer taken appropriate steps to prevent a recurrence? If a permanent solution isn't in place, has the employer provided interim employee protection? Public liability is part of the law of tort which focuses on civil wrongs. An applicant (the injured party) usually sues the respondent (the owner, occupier or controller) under common law based on negligence and/or damages. Claims are usually successful when it can be shown that the owner/occupier/controller was responsible for an injury, therefore they breached their duty of care. Prepare and provide a first draft of the tender, identifying any gaps for discussion and completion. Provide a final draft, which fully complies with all the tender requirements and addresses the Evaluation Criteria, and leaves you confident that you have submitted a professional, competitive and persuasive tender that maximises your chance of winning. Logic Business Resources offer business consulting, strategy and training services to small and medium sized business providing business solutions in Company Growth, Operations Management and Leadership. We aim to provide professional counsel and assistance in the analysis, conception, and formulation of strategies & plans along with the development of the implementation framework that assists client's sustained survival and long-term growth & profitability. Copyright © Logic Business Resources.